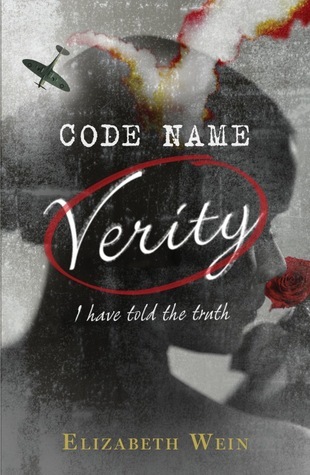 Code Name Verity, which will publish in Spring 2012,is the story of two young women from totally different backgrounds who are thrown together during World War II. Only in wartime could a stalwart lass from Manchester rub shoulders with a Scottish aristocrat, one an Air Transport Auxiliary pilot, the other a wireless operator with the WAAF. Yet whenever their paths cross, they complement each other perfectly and before long become devoted friends. Elizabeth Wein is a member of the Ninety-Nines, the International Organization of Women Pilots. She was awarded the Scottish Aero Club's Watson Cup for best student pilot in 2003 and it was her love of flying that partly inspired the idea for Code Name Verity. here's my WOW post. I've read it, but I know tons of ppl can't wait for it, so I also posted my review! Stop by?! Happy reading and check out my waiting on Wednesday! I shall be waiting in the queue right behind you for this one. This sounds fantastic! I love books which are set in and around World War II. Oooh hadn't heard of this before but I do like books set in WWII! will have to look out for it, thanks for sharing Kirsty!